Welcome to another Expanded Universe column where I feature essays from authors and editors of fiction, poetry, and non-fiction, as well as from established readers and reviewers. My guest today is Kelly Ann Jacobson. 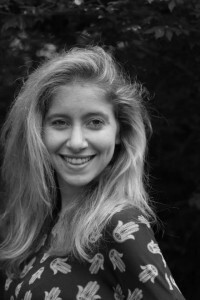 Jacobson is a fiction writer, poet, and editor who lives in Falls Church, Virginia. She received her MA in Fiction at Johns Hopkins University, and she now teaches as a Professor of English. She is the author of several published books, including the novel Cairo in White, and her first book of poetry, I Have Conversations with You in My Dreams, will be published in 2016. 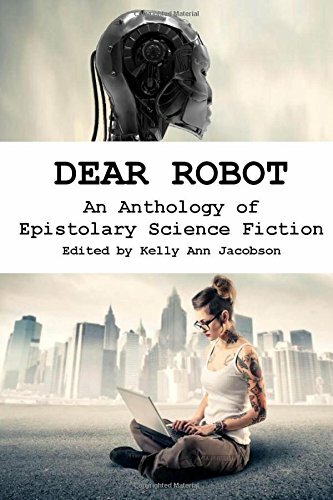 Jacobson has edited several anthologies, including Dear Robot: An Anthology of Epistolary Science Fiction and Magical: An Anthology of Fantasy, Fairy Tales, and Other Magical Fiction for Adults. Her work can be found at www.kellyannjacobson.com. About six months ago, I was driving to work when the following two genres popped into my head: “science fiction” and “epistolary fiction.” Usually when I decide to put together an anthology, I do so because I’ve thought of a book I want to read and it doesn’t exist yet, so I asked myself, Does a book of epistolary science fiction exist? And if not, should I make it? Anthologies, especially as a one woman show, require a great deal of time and effort. But then I thought of the title, Dear Robot, and I knew there was no turning back. In fiction workshops, we are often reminded of the distinction between literary and genre fiction: literary fiction focuses primarily on the deeper themes of the work, as well as form and style, while genre fiction focuses primarily on plot. Literary fiction is seen as more serious, while genre fiction is seen as more entertaining. What drew me immediately to the idea of epistolary science fiction was that it forced writers to combine both genres (some writers would frown at my use of the word genre to describe literary fiction) in their stories. They had to fit their works into the science fiction genre, but the form of the work had to be integral to the story too. I didn’t want a bunch of typical short stories with “Dear so and so” inserted on the first line. All stories had to be under 3,000 words, which gave the writers a very short amount of time to build the future worlds normally established in a science fiction novel. A robot in each story was not required, though I did appreciate the number of creative uses of humanoids in the collection. What I received were exchange student behavioral contracts and email chains between robot mother and human daughter, fundraising campaigns and space logs, encyclopedia entries and newspaper articles. Love letters, calls for help, diary entries, and a manual for interstellar foster parents also made it into the collection. Every single story mixed a literary style with a science fiction story, and every single story used its form to the fullest potential. Take, for example, “Fun(draising) with Meteoroids,” one of my favorite stories in the collection. Author Sarena Ulibarri begins with a solicitation from NASA for their Near Earth Object program, which tracks meteoroids that are on the course to impact Earth, collects them before they hit, and then tries to solicit money from the people the meteoroid would have killed. In response to their letter, one recipient, Chad Kohler, sends a vehement letter explaining that no, he will not be donating money to the program, but he will be keeping the rock. And so the back-and-forth between Chad and Victoria Siskind, NEO Public Awareness Manager, begins. Not only is their dialogue entertaining and funny at times, but by the end of the short story, Ulibarri manages to say a great deal about the future of NASA and other organizations of its kind if they are controlled by ignorant companies whose only concern is the dollar. As another example, “Who Do You Think You Are?” by Misha Herwin tells the touching tale of a human woman searching for her robotmom. Not only does the story give us a beautiful mother-daughter relationship, but Herwin speaks to the question of the universality of parenthood stretching even to the robot surrogate. This story inspired the cover for Dear Robot, the top of which is a robot head and the bottom of which is a young woman typing on her computer with a futuristic city in the background. In addition to the unique form, an interesting fact about Dear Robot is that a majority of the stories were written by women — in fact, only a few of the writers are men. For a book that falls into a category traditionally written by men, I see this as a huge accomplishment as well as an explanation for why many of these stories move so easily between the traditional science fiction tropes and new ones. I believe that Dear Robot represents the future of all genres of fiction, a future when both classifications will need to stretch and grow to remain appealing to readers, entertaining to generations of people who have grown up in a digital world, and well-written enough to count as an art form. Cross-genre categories like novels in verse, science fantasies, and romantic thrillers will become even more popular, along with genre-bending novels and stories that keep the books fresh for readers whose numbers are dwindling. I want to end this post with a section from Diana Smith Bolton’s found prose piece “The Institute,” which I find fitting for a discussion about breaking away from the traditional walls between genres, as well as the strength in numbers required to mainstream cross-genre books. Again, poet Bolton took multiple genres — the found poem, literary fiction, and science fiction — and fused them together to create an entirely original piece. Dear Robot is one. Now go and write the many. Readers, what genres would you like to see combined? Or what genre-bending experiments have you particularly enjoyed? One commenter will receive a copy of Dear Robot. I enjoyed “Fun(draising) with Meteoroids” both because I used to work for a public bureaucracy, and because now I get bombarded with e-mail fundraising pleas. Several of the stories in this collection are laugh out loud funny. Also, funny, thought-provoking, etc. I enjoyed the genre-bending in The Shining Girls. Beukes mixed time travel, serial killers, and feminism. Good stuff. Sarah, if you live in the USA, you win a copy of DEAR ROBOT!